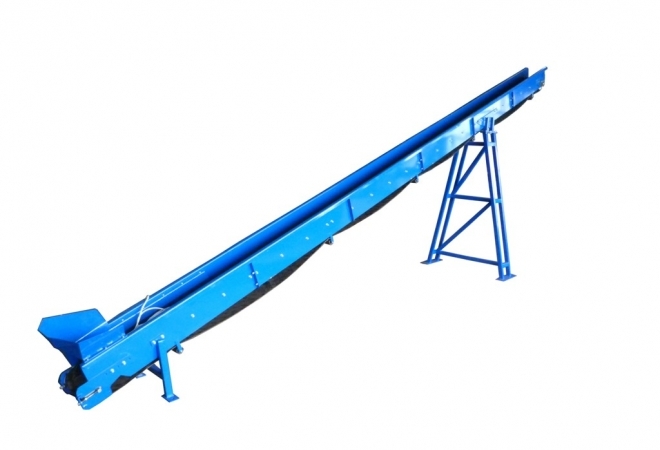 Different types of belts and construction solutions of conveyors enable you to carry the material up to incline of 17°. Belts applied in standard conveyors are equipped with profiled side boards preventing the material against falling out. 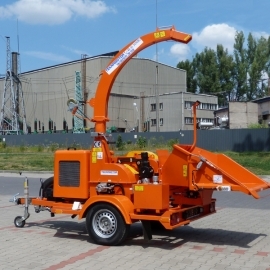 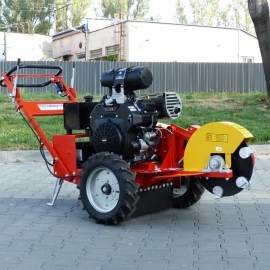 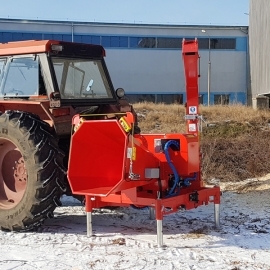 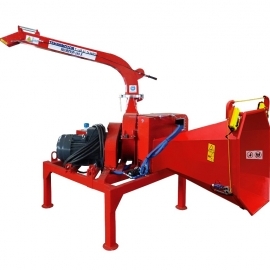 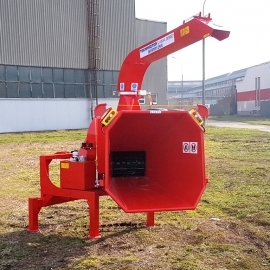 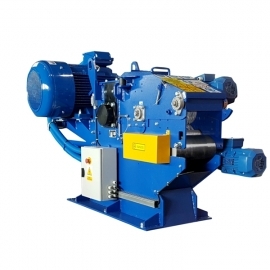 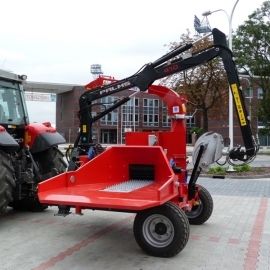 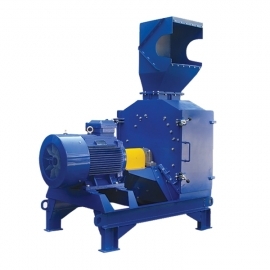 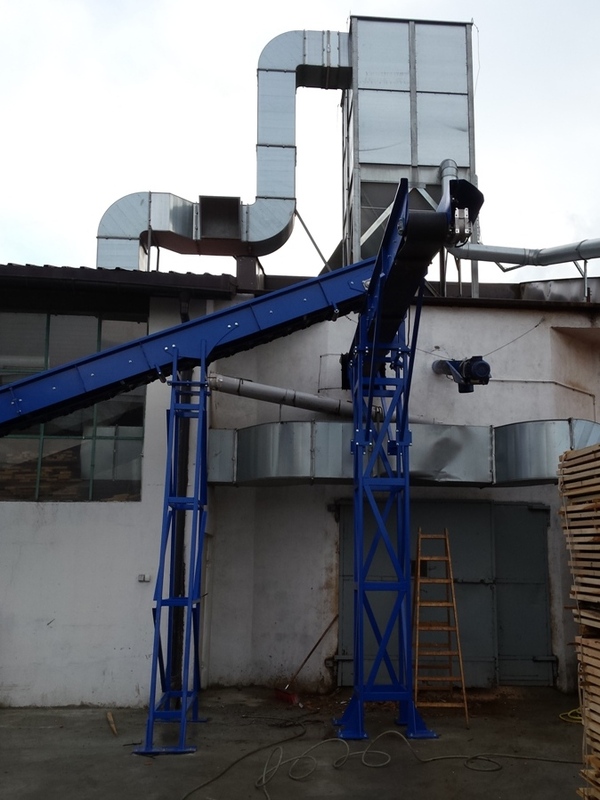 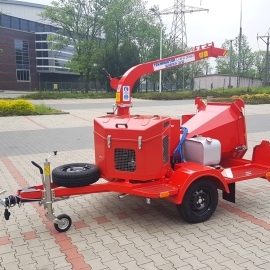 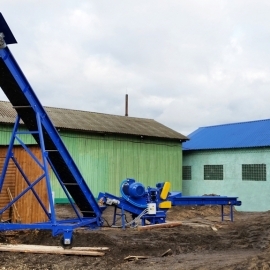 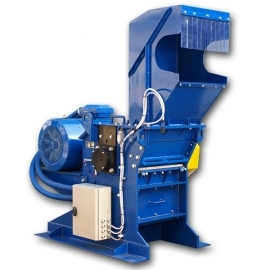 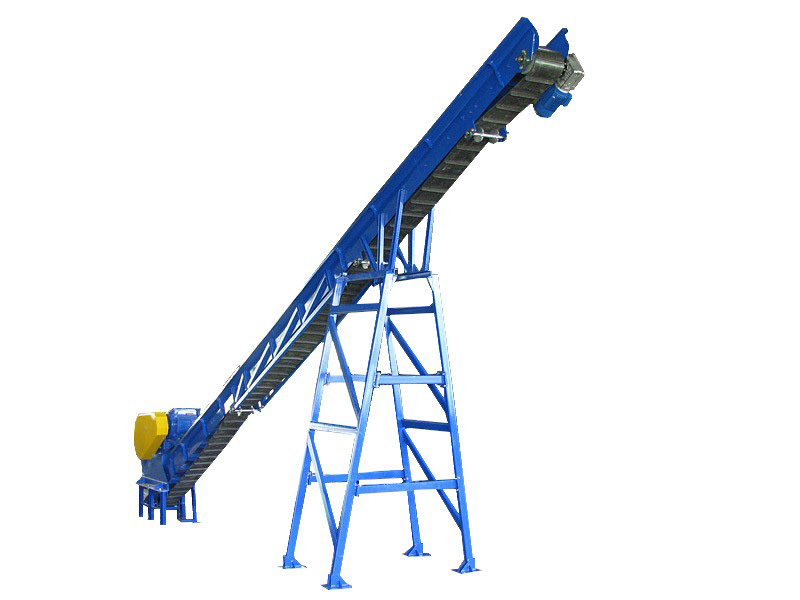 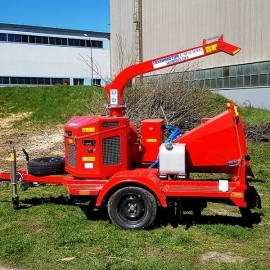 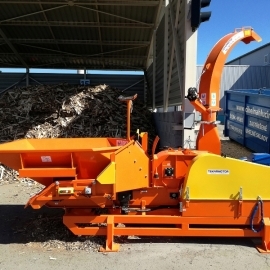 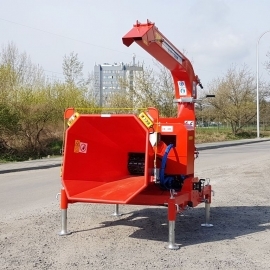 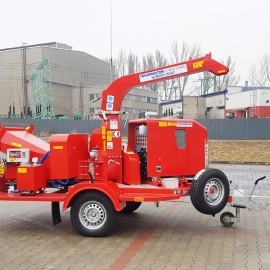 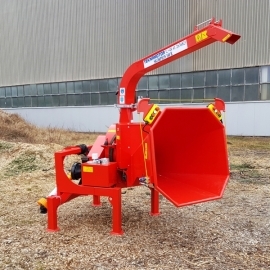 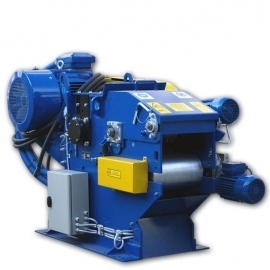 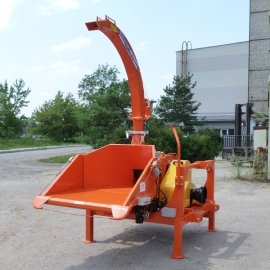 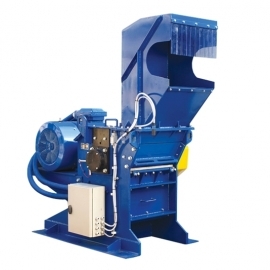 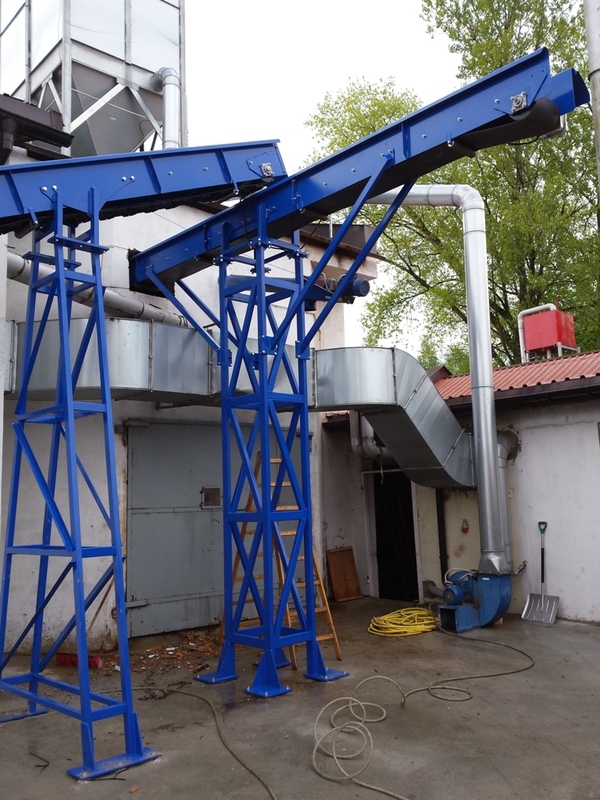 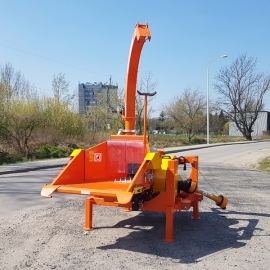 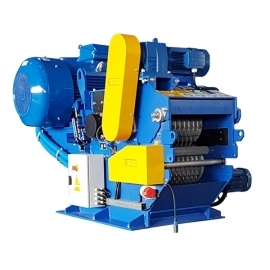 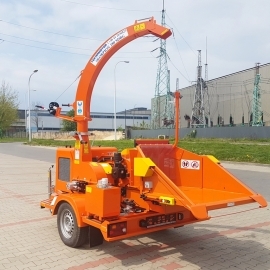 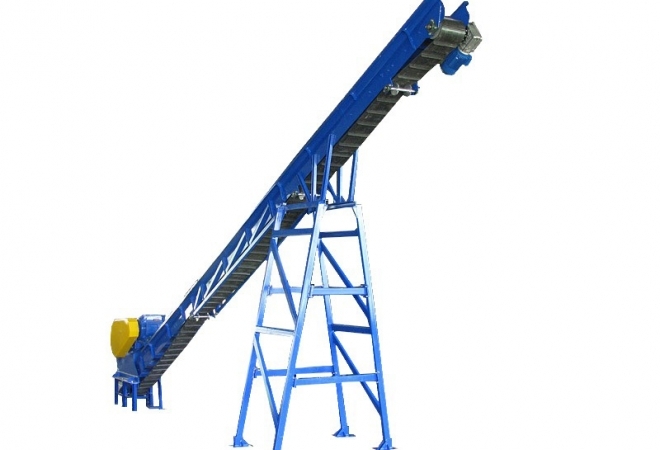 Standard versions of stationary chippers are equipped with a 3-meter or 5-meter long belt loading conveyors, which may be made to any length on customer's request. 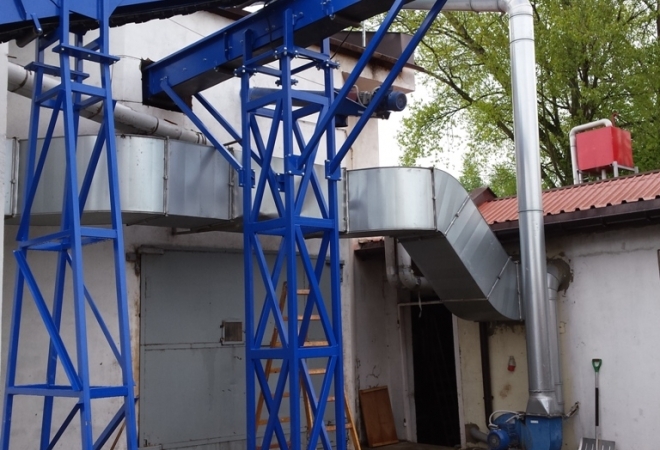 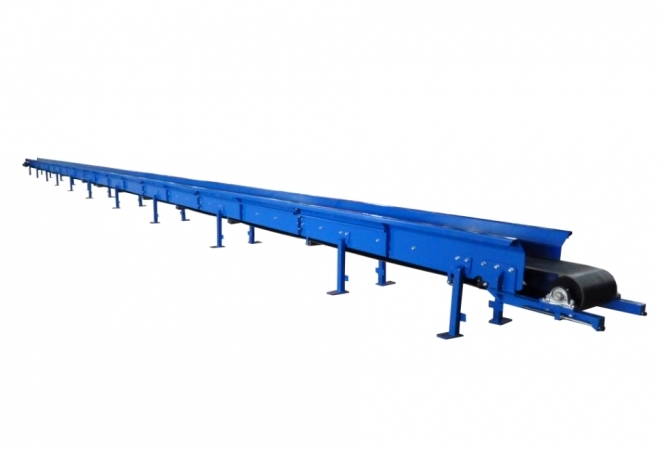 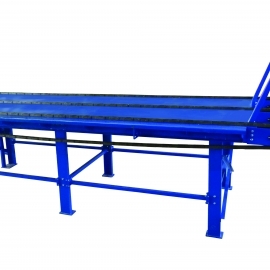 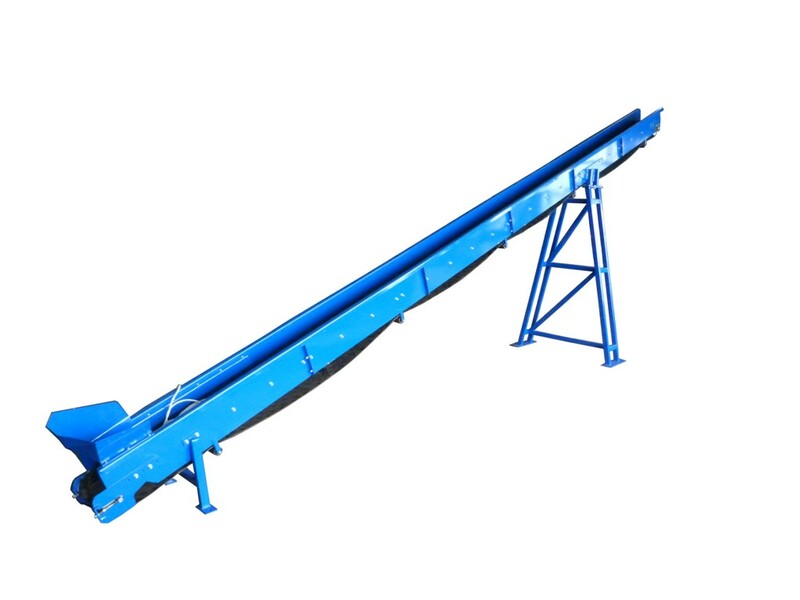 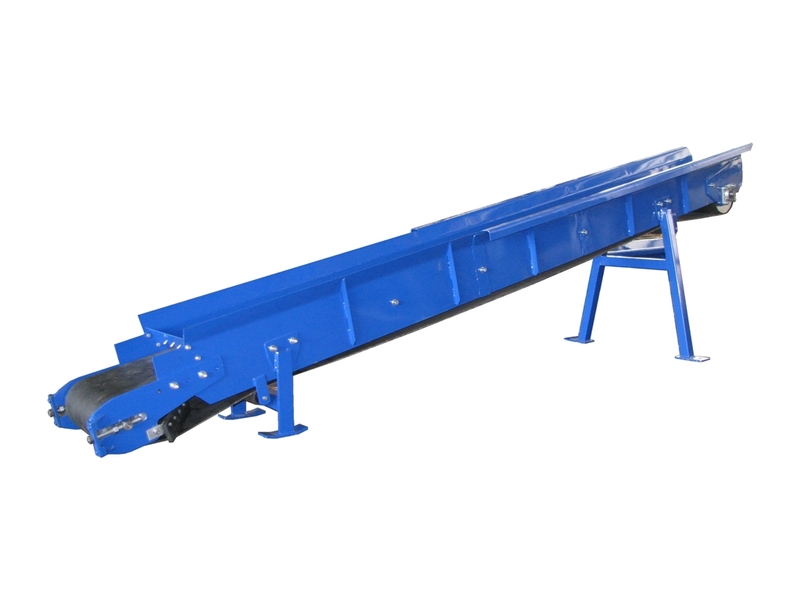 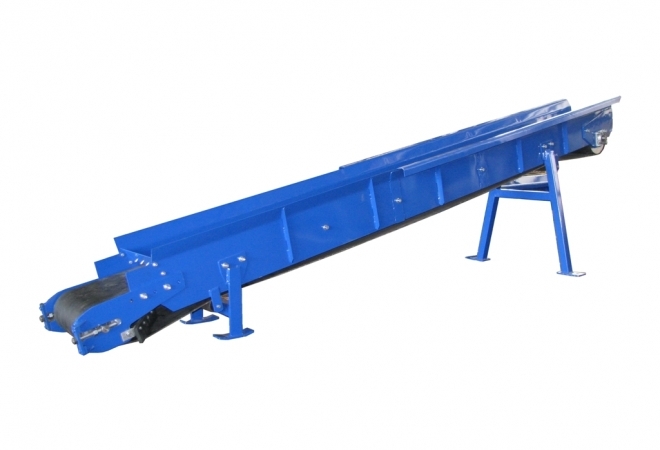 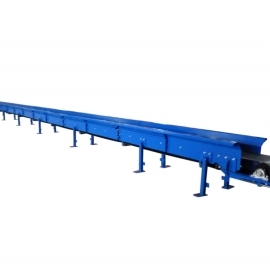 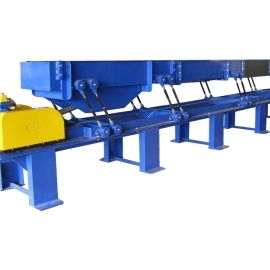 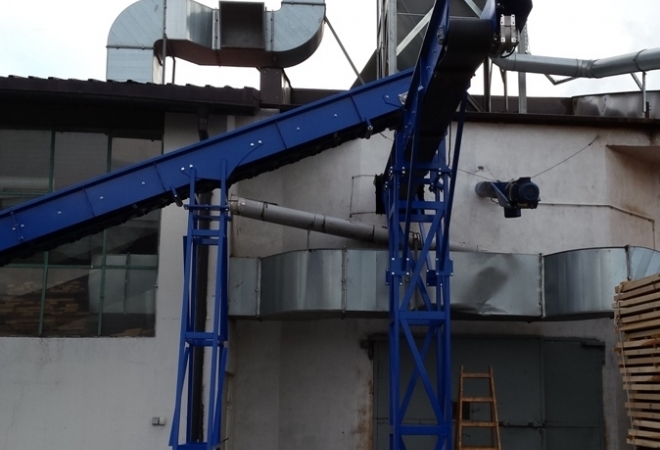 The so-far made belt conveyors have the width of 220 - 650 mm and length 3-25 m.
Loading conveyors can be additionally equipped with a detector of metal.